I have always wanted to have a pet. Preferably a dog. I’ve had budgies when I was a kid but you can’t really cuddle with a bird, can you? But then when I was 15 my parents finally conceded to my plea for a pet and we got a cat. He was just a kitten when we got him from my mum’s friend and he was a mix breed between a Siamese (or a Birman?) 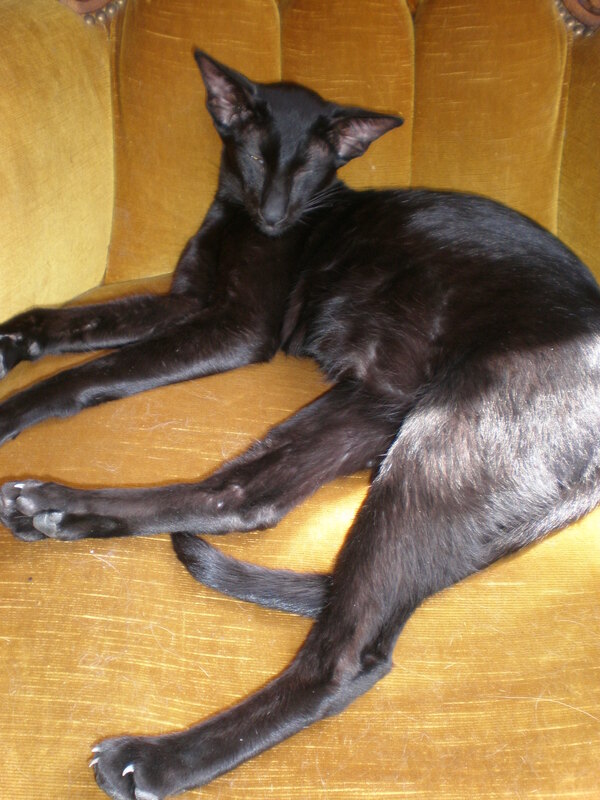 and some unknown ordinary cat breed. I named him after a dog from the Famous Five books by Enid Blyton: Timmy. He had the most beautiful blue eyes I have ever seen and he’d been my best companion for 11 years until he sadly passed away. I thought I’d never get another cat in my life. However, when I moved in with my future husband I managed to convince him to get a cat even though he was a self-proclaimed dog-person (having never owned any pet but a hedgehog previously). We adopted our cat Munchkin (my husband named him after a board game) from an animal organization and he’s been bringing us joy and happiness (and occasional dead bird and lizards) ever since we got him as a 2.5 month old ginger-white kitten. I’m a crazy cat lady and naturally when I recently read about a cat café in Nice I knew I just had to visit it on my next business trip to Nice. 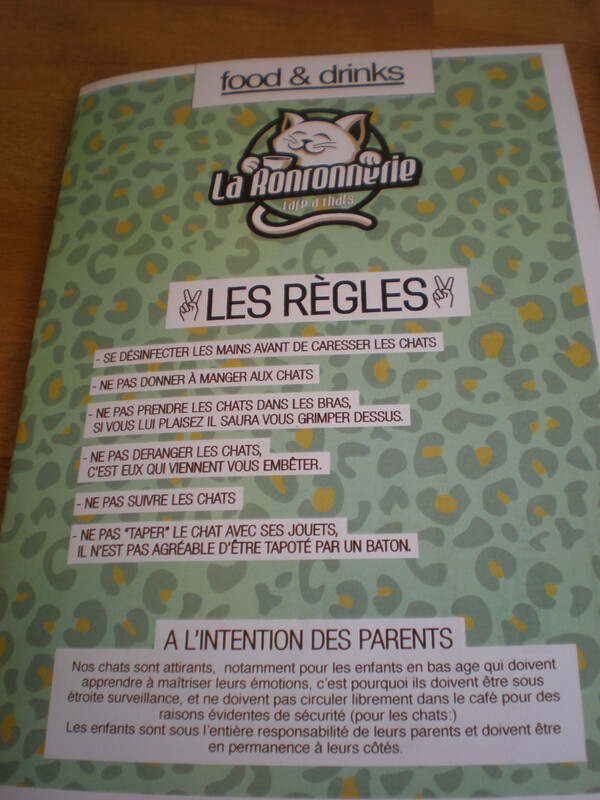 Last Friday I had some free time after my work obligations and I went to look for the cat café–La Ronronnerie. It’s not situated in the usual tourist part of Nice but it’s not difficult to find it. 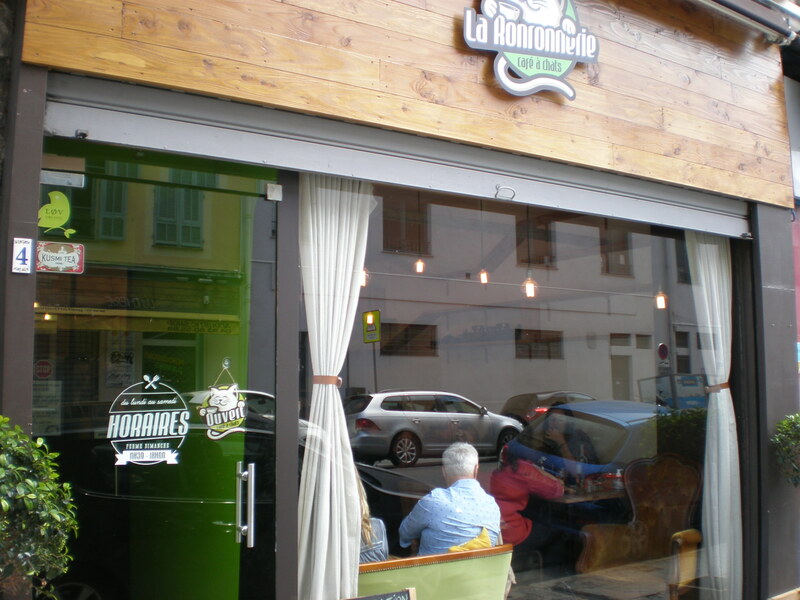 It’s in the street Rue Lepante 4. And you can easily reach it from the high street Avenue Jean Medecin. It’s not far away. There’s a school near the cat café actually. I looked at the café from across the street and then walked over and entered. However, the waiter told me they were full and that I might want to come back in 20 minutes or so when he expects to have some free seats. Of course, I wanted to see the cats so I walked around for a bit and then decided to have lunch somewhere near and to return afterwards to the cat café. 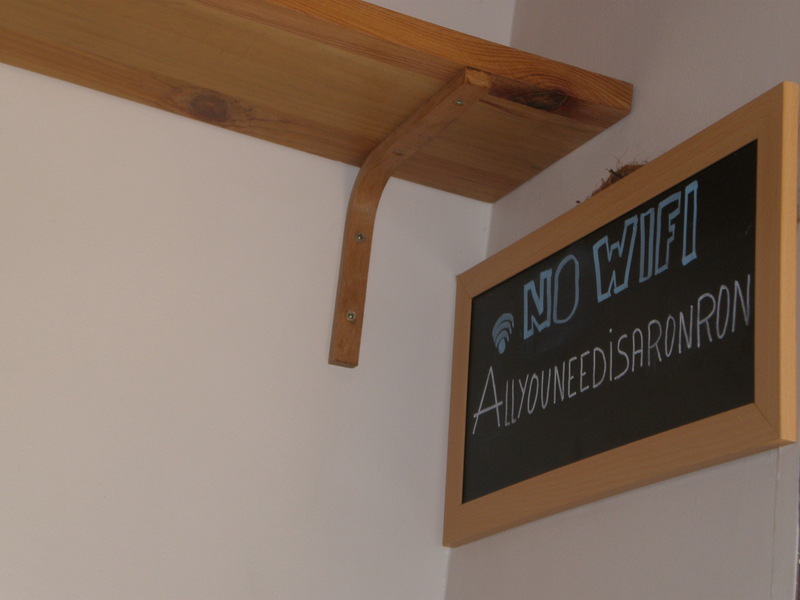 I had a lovely lunch and returned to the cat café La Ronronnerie after 2 pm and this time I was lucky:there was place for me. First impressions: There was a big sign in French with rules at the entrance. 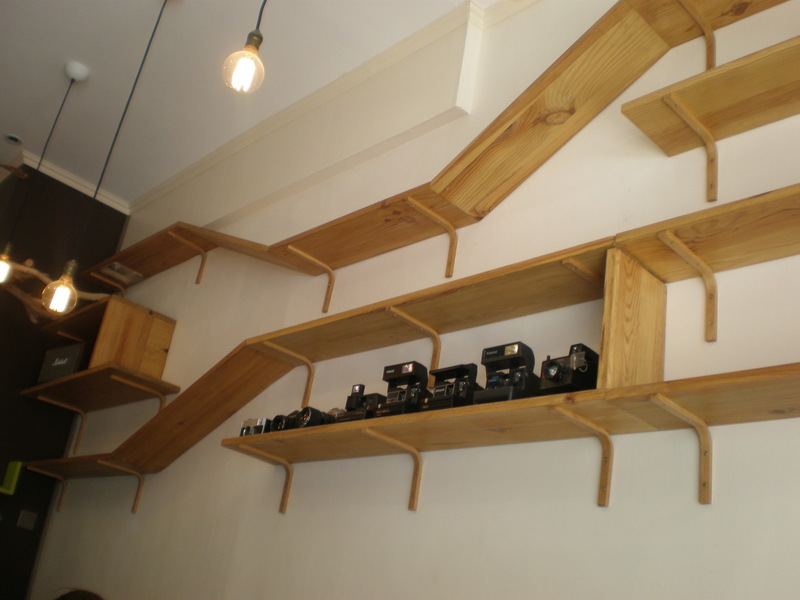 The café looked comfortable and simple and there were different cat toys and cat paths on the walls. 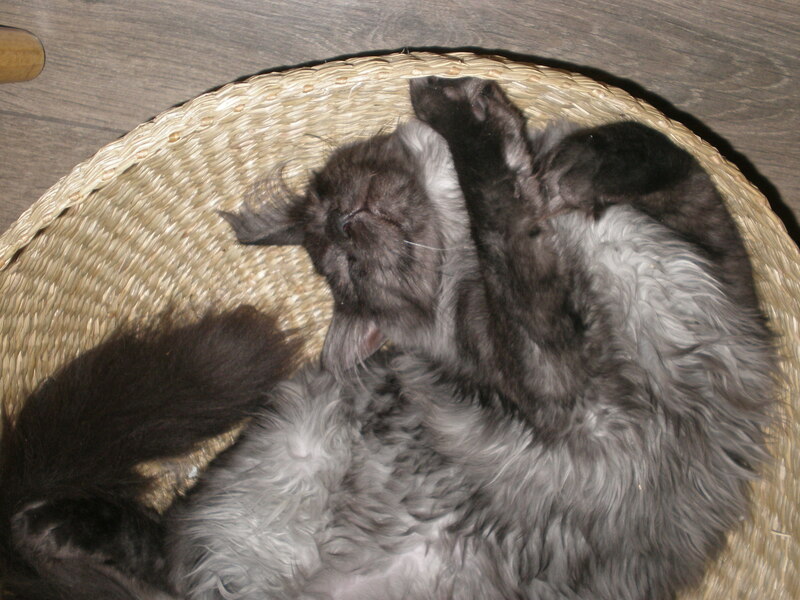 I saw one black cat sitting lazily in an armchair and another one snuggled in a cat basket next to a bunch of people. Everyone was talking and enjoying their drinks/meals seemingly unfazed by the presence of the cats. I sat down and looked around to find the other cats. 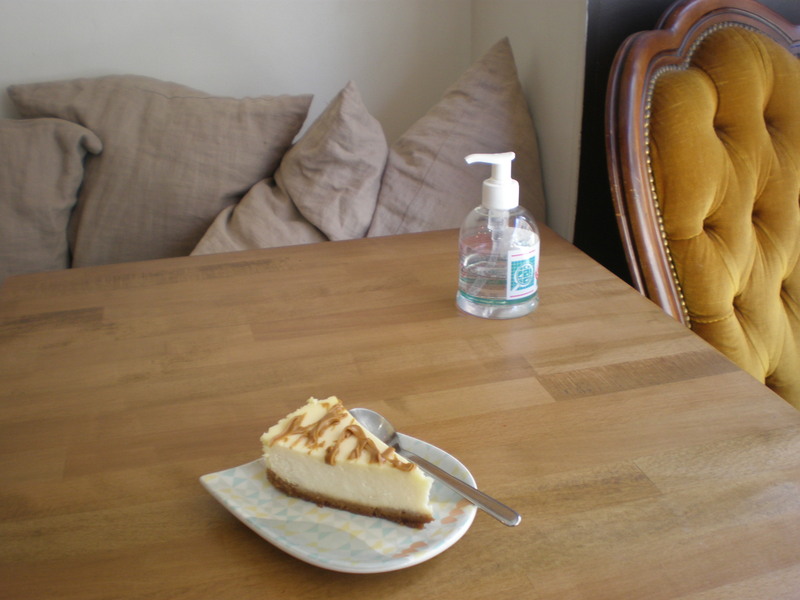 In the meantime a waiter approached me with the menu and I ordered a speculoos cheesecake. There were hand sanitizers at every table and I first thought that they were there to clean your hands after you’ve stroked the cats. But no, no! You have to use the hand sanitizers before you can touch the cats. You can’t move them from the chairs or wake them up or pick them up or feed them or really even touch them if they don’t first approach you. All of these and more was written on the menu and on the backside there were photos of 5 cats who live in this cat café. They are not stray cats like in some other cat cafes. They’ve got purebreds in La Ronronnerie. I was a bit annoyed with all of those rules and I felt shy so I just surreptitiously took a couple of photos of the cats. I had imagined I’d play and cuddle with the cats, but it didn’t happen. Everyone else seemed blissfully ignorant of the cats apart from two ladies sitting close to me who also occasionally took some photos of the cats. Only when I was ready to leave did I dare to stroke two cats. 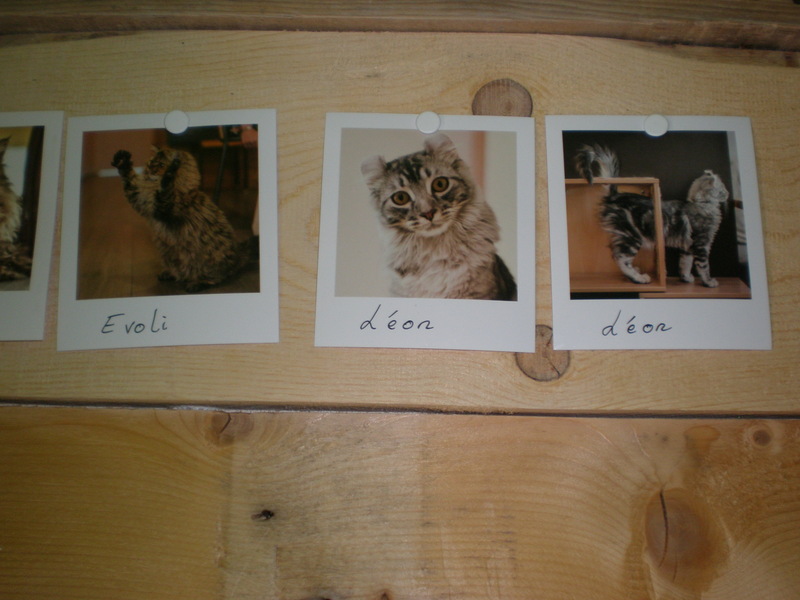 So what cats are in this cat café in Nice? An elegant black cat was sitting in an armchair next to my table and then I saw another one approaching the big window next to my place. It was a Sphynx cat. I’ve never seen a cat without hair in real life. I found its look a bit disconcerting; poor cat without the glossy coat to keep it warm in the winter. 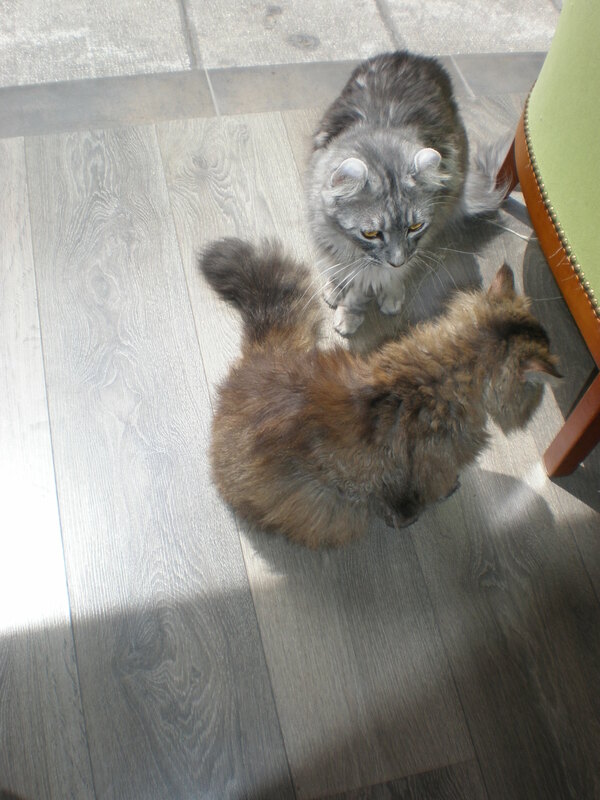 Then I saw two other cats in another corner of the café:one big cat with gorgeous long hair and another one which looked like some wild cat. I’ve never seen such a cat breed, it had spots like some leopard or some other Big Cat. 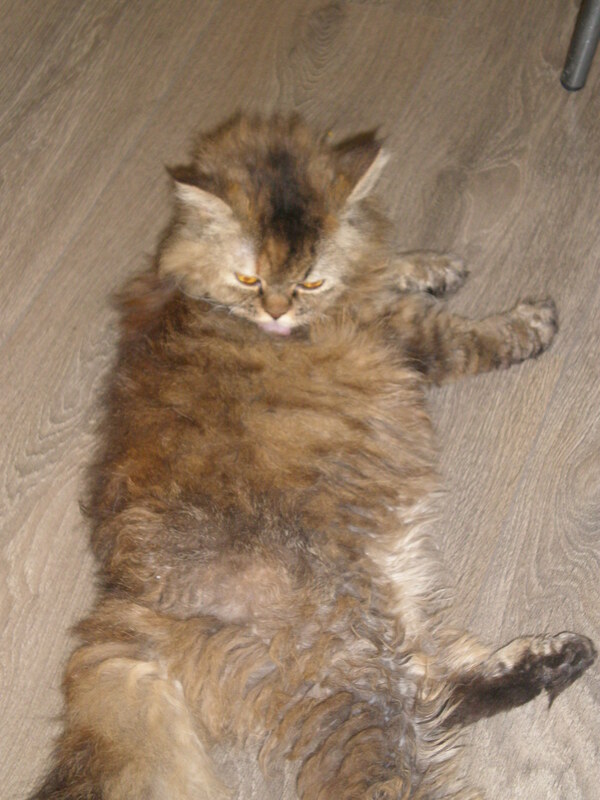 There was also a cat that looked a bit disheveled. They were all utterly adorable. When I paid the bill, I told the waiter how calm the cats were and that they are really gorgeous. 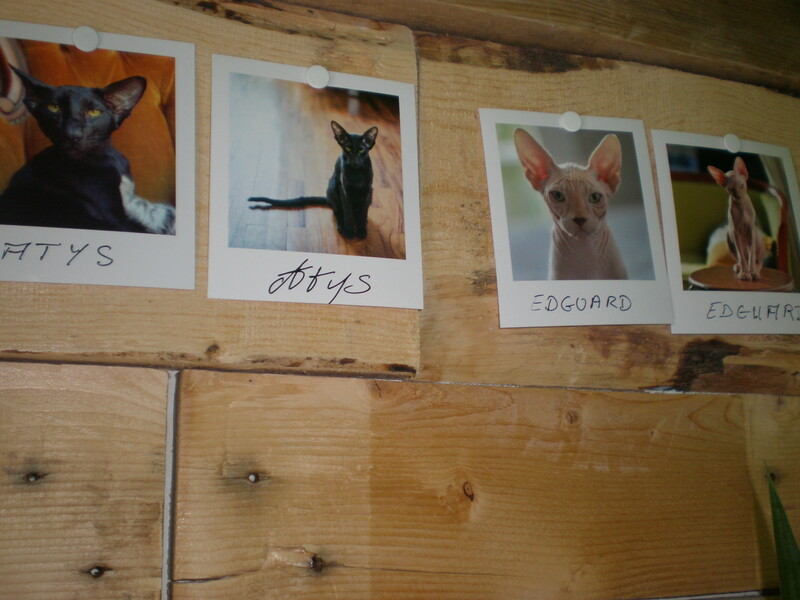 When I was leaving I spotted the cat photos with their names at the entrance (how did I miss it upon entering?). So the cats are: Atys the Oriental, Edguard the Spynx, Léon the American Curl, Evoli the Selkirk Rex and Jaya the Bengal. Final impressions: The speculoos cheesecake (4.50 euros) was delicious and the cats are utterly gorgeous. They were mostly sleeping but it was a sunny afternoon and it was just the right time for a cat nap. Maybe If I had come later I would have seen them in their more active mode (the café is only open from 11.30 till 6 pm). I expected to be able to cuddle the cats but when I saw all the rules I didn’t really dare apart from a few quick strokes on my way out. All in all, I spent an enjoyable half an hour with the cats but I guess I would have felt more at ease if I was with a friend because then I wouldn’t feel so odd for taking photos and for wanting to cuddle the cats. 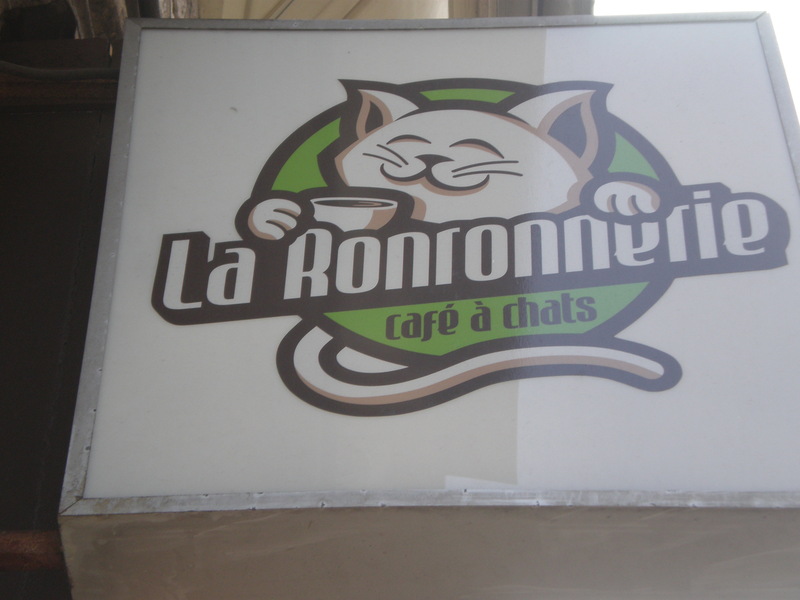 I love that it’s called La Ronronnerie!! Those cats are cute, but the cutest one is yours! Ha ha. 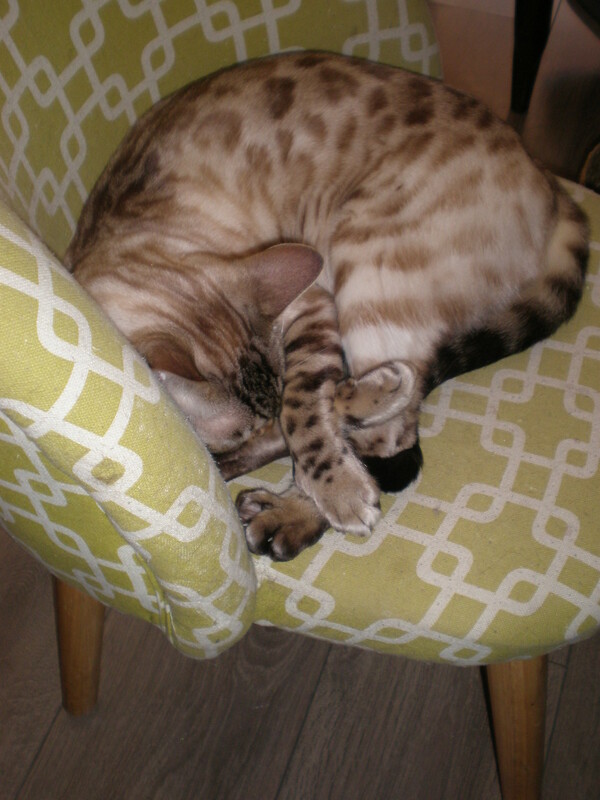 Cat cafes make me laugh – my cats are such lunatics that I get out of the house to escape them! (I really do love them both but like to pretend I don’t). I have two dogs too, so a very full house. So quirky and I’d probably want to cuddle them too. I’ve never been here but it would be interesting to go. I’ve never been to a cat cafe, but do have a 13 year old cat. Thank you for sharing you experience with us. It sounds really interesting, but a bit restricted? Sanitizing your hands before you touch the cats – I’m not sure how my 13 year old moggie would think of that! Love the pictures of your own cat, by the way. I have never heard of a cat cafe before! Quirky for sure!! I love the idea of a cat cafe and I’d heard about the one in London. It’s a pity the rules were a bit offputting – I can see the need to protect the cats, but on the other hand surely people come to be able to handle them a bit. I think there are several cat cafes in London:) I didn’t visit any on my recent trip because they charge for the entrance and you need to book so… 🙂 thanks for reading! There’s a cat cafe in Dubai also with too many rules, no children, no touching cats, etc etc. I’ve not been as I saw a few posts from people saying it was smelly, the owner doesn’t want you to touch the cats and they wandered over the table. I think I would find it hard to leave that cafe! I’m always stopping in the street to stroke cats. I can’t say I’m a fan of hairless cats though. Mixing business and cats! Love it! I’ve just recently been to Nice but didn’t realize that there was a cat cafe there. 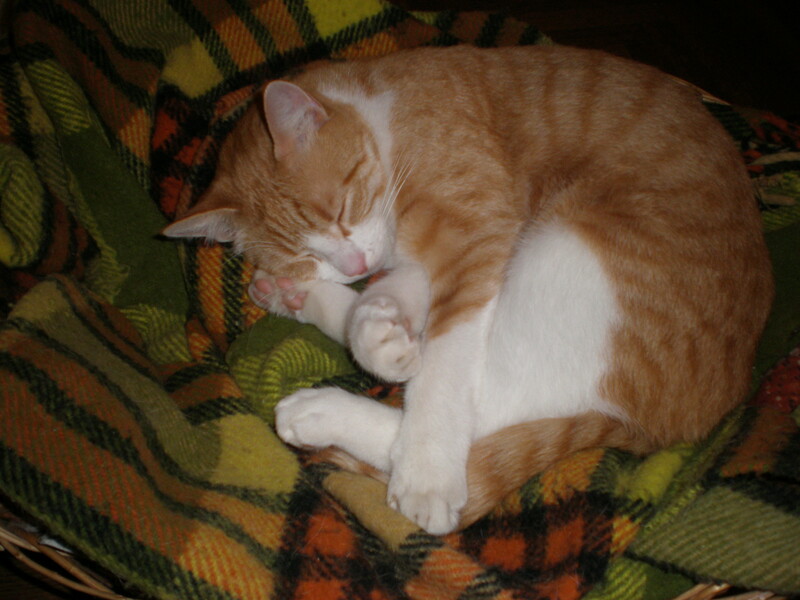 Did you know that La Ronronnerie means The Purring?! I’ve been to cat cafe in Tokyo and they had similarly strict rules. If you’re cat lady, like we are, it is a bit annoying. 🙂 But on the other hand, they have to protect the cats. Just imagine poor felines if every single visitor would try to cuddle them or even carry them. It would be so stressful. Believe me I know. 😉 In Tokyo, they were offering cat snacks to purchase. Only when we bought it, we got cat’s attention. Did in Nice have something similar? I’ve not been to a cat cafe, but I’ve been in many bookstores with resident cats and I like that a lot. Loved reading about this, Tanya! That sphinx cat is really creepy though… I’ve always fancied going to a cat café and so surprised to hear it’s not full of children all cuddling the cats. Hilarious that the hand sanitiser is for before touching the cats rather than afterwards! I guess not all cat cafes are the same, but then again cats aren’t toys and we really shouldn’t bother them too much! 🙂 But no one else was really cuddling them so I felt a bit at unease. 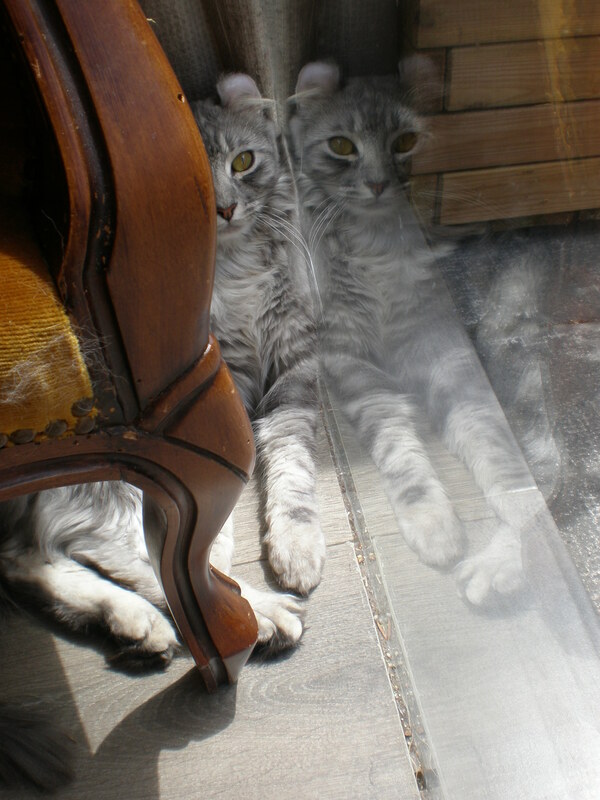 I love that final photo with the cat’s reflection. I had so many reactions to your post! Have you seen a video that’s floating around that shows some non-cat people who agree to keep a cat for a week? They, of course, end up being cat people. My daughter is so excited because a cat cafe is opening up here in Columbus, Ohio, but I’m sure she’d rather visit one in Nice, France. I wonder if more common cat breeds would be more likely to cuddle. I know that as I sit here at my computer, my tuxedo cat is nipping at my calves to get me to pet him. Your post brought a smile to my face at the start of the week, Tanja. Thanks for sharing your visit to the cat cafe at #MondayEscapes. I am a cat person myself. Interesting review. I love cats but have never been tempted by a cat cafe…that being said we have three of our own so we get plenty of kitty time! We have a cat and my girls are obsessed with cats. There’s a cat cafe in Manhattan that I’ve been wanting to take them to, but you have to book weeks in advance! Who knew! Hi Tanja, Thanks for the report on this place. I’ve been meaning to go for quite some time. It is a bit disappointing that you can’t pet the cats though. Like you, I would have thought otherwise. 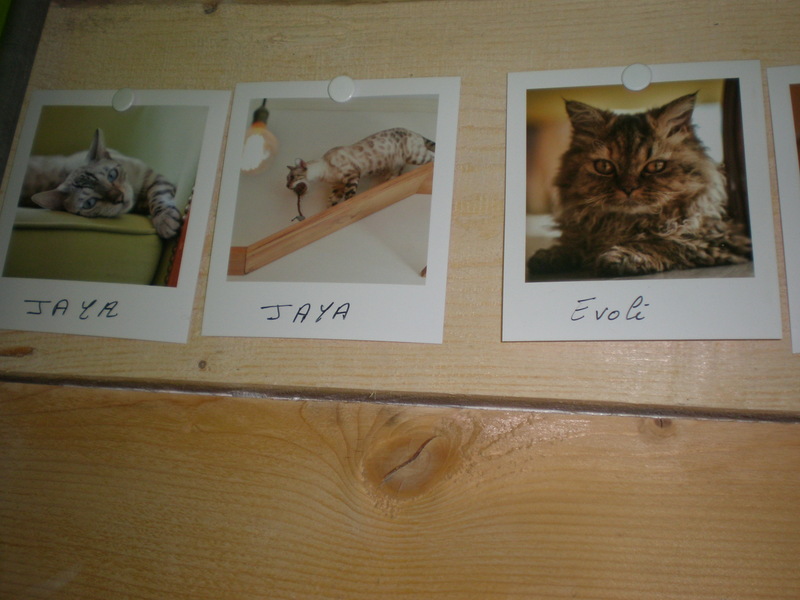 This cat cafe has such exotic breeds of cats! 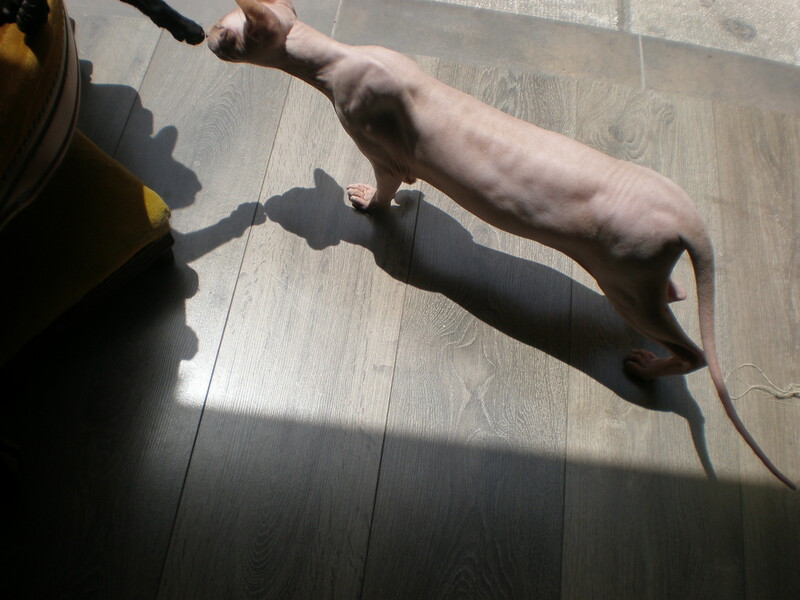 I think Sphynx cats are fascinating. They look so… odd. Bengal cats are really cool as well. My boyfriend’s father used to have a cat (I don’t know if you’d consider it Bengal – it was apparently only one generation removed from wild cats), and it liked to jump on high surfaces a lot. Sadly, one day it jumped out of the window, which was 18 floors up and, I think, left open by mistake. After hearing that story I’m quite wary of keeping such cats as pets. I’ve been to cat cafes in Bangkok and Singapore (I think they originated in Japan), and my experience was very similar to yours. They have strict rules about not picking up the cats and so on. Fair enough, I guess. The cats in those cafes I visited were generally quite aloof and didn’t approach the humans, although you could interest them in some toys if you were lucky. The place with the friendliest cats I’ve ever been to was a cat shelter near Sacramento, California. The cats there were amazingly friendly and affectionate – the minute I sat down on a bench, they all started coming towards me and soon I ended up with at least 3 on my lap and a lot more surrounding me, on the bench or on the ground. They probably value human companionship a lot more since they have a lot less of it – the shelter had like 3 staff for a ton of cats. Love the fact your husband had a pet hedgehog! I didn’t really like cats until my wife persuaded me to get one – we now have a ginger longhair called Foxy. I’ve been to cat cafes in Munich, Bratislava and Nottingham but get a bit frustrated with all the rules and the lazy cats! oh, I bet he/she is a cutie:) I’d like to try another cat cafe but I mean, I’ve got a cat at home which I can cuddle:) but he does prefer my husband.. I had heard that there was a cat cafe in Paris, but I didn’t know that there was one down in Nice. As I write this comment, I have my cat sitting on my lap trying to lick me. 😀 I think that it’s strange too that there are so many rules about touching the cats. Maybe if they were regular cats rather than pedigrees, the rules would be more relaxed. It seems a shame that can’t cuddle them! 🙂 I think you can actually touch them but I was slightly deterred from it after I saw all the rules. I did stroke quickly two cats, but I had hoped to cuddle a lot.